Dr. Steve Ayers will deliver the message with scriptures from Jeremiah 32:1-3a, 6-15 and Luke 16:19-31. Maria Arrowood is the deacon of the week. She will read the Old Testament scripture and lead the morning prayer. The flowers today are given in loving memory of Flake and Jane Mills, in honor of their anniversary on September 23. They are given by their daughters, Karen Griggs and Jan Smith. The rosebud today is given in honor of the birth of Brooklynn Eleanor Broadway who was born on September 16 to Matthew and Amber Broadway. Proud grandparents are Chuck and Becky. Meet your deacon after either worship service this morning and pick up your directory. 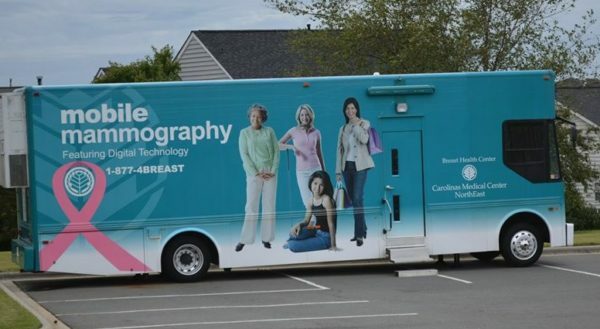 The Mobile Mammogram Bus will be at McGill this Thursday, September 29, from 8:30 a.m.- 3:30 p.m. Please call 704-403-1729 to make an appointment. You will need your physician information when you call. Financial assistance is available. Youth parent information meeting will be on Sunday, October 2 at 9:20 a.m. in the sanctuary. Attention Marys and Marthas. You’re all invited to the M&Ms Paint Night—Friday, October 14, from 6:30 – 9 pm at the Sundae Art Gallery. Space is limited so sign up today in the back of the sanctuary. Deadline is Oct. 9. Cost is $30. Paint supplies will be provided. Bring your own snacks and beverages. The Fall Festival will be on Friday, October 28. Please bring wrapped candy to be used as prizes and leave in the orange containers at the outside doors. If you would like to volunteer to help, please see Londa Carroll or Regis McLean.